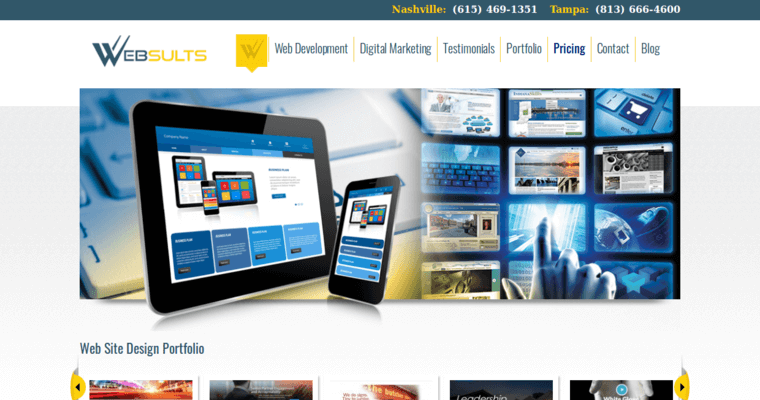 Websults LLC is one of the best website design firms available today with offices in Tampa and Nashville. 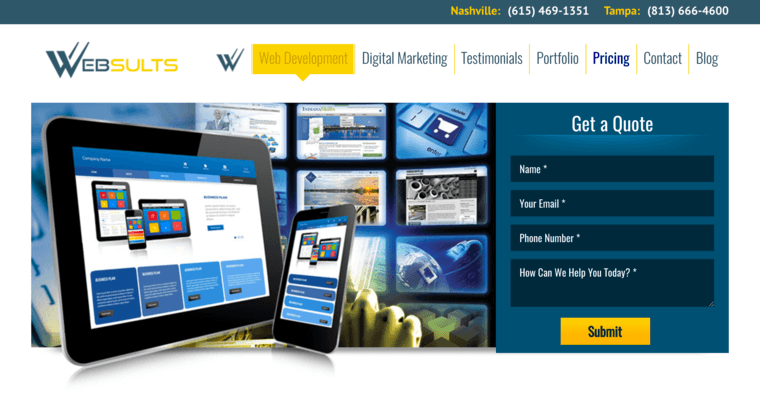 Websults has been designing and developing websites for years, and has the knowledge and experience to build a successful site for any industry. One of the main goals of any website is to attract the attention of a casual visitor and the quality content to keep them engaged long enough for the website to deliver the critical message. An additional goal of a successful website is to develop pages that Google and other organic search engines recognize so that they can get rated high enough during any search. The professional and experienced web designers at Websults have the ability to produce a fantastic website that accomplishes both goals. 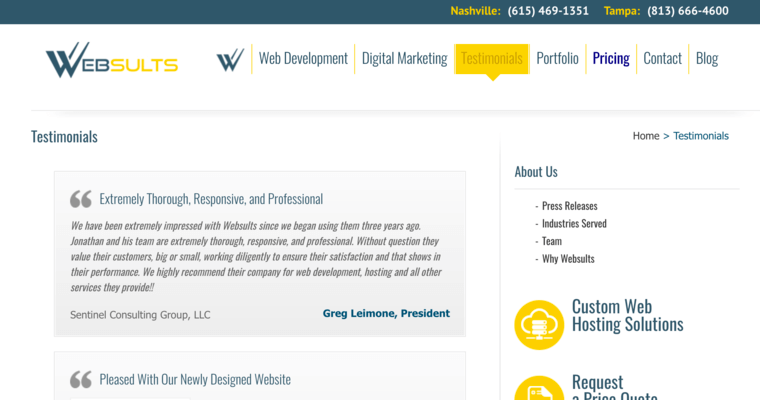 Websults LLC uses different databases, programming and design tools, and CMS to produce websites that are unique, functional, and SEO friendly.